My husband is in town. 3) abuse my liver at tonight’s graduation dinner. That $50 glass of scotch? Yep, trying it tonight. Courtesy of my lovely department! 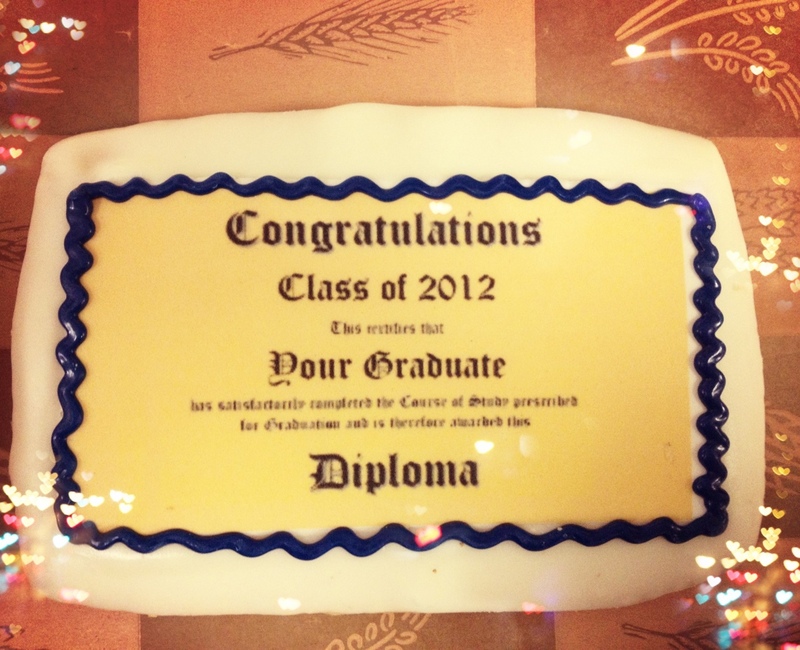 Here’s one of tiny graduation diploma cookie I received. Have fun tonight! It’s such a great feeling to be done. Soak it all in!